If the distance is getting higher and the transponder becomes out of reception range of coastal base stations, the vessels are not traceable anymore. The monitoring head quarter doesn’t have a clue where the objects of interest are until they get back into coastal coverage. Today’s Long-Range-AIS via satellite is not always reliable due to known congestion problems in high traffic areas. In opposite to those, via HALI combines terrestrial and satellite AIS data capability with two-way satellite technology to deliver reliable vessel communication via over 40 satellites and ORBCOMM’s M2M data network ensuring vessels are always tracked for anywhere in the world. With such a bidirectional handshake between HALI transponders and ORBCOMM SATs it will be sure that AIS data are transmitted and received safely. HALI units switch automatically into Satellite AIS mode in the moment they left the coastal coverage zone. 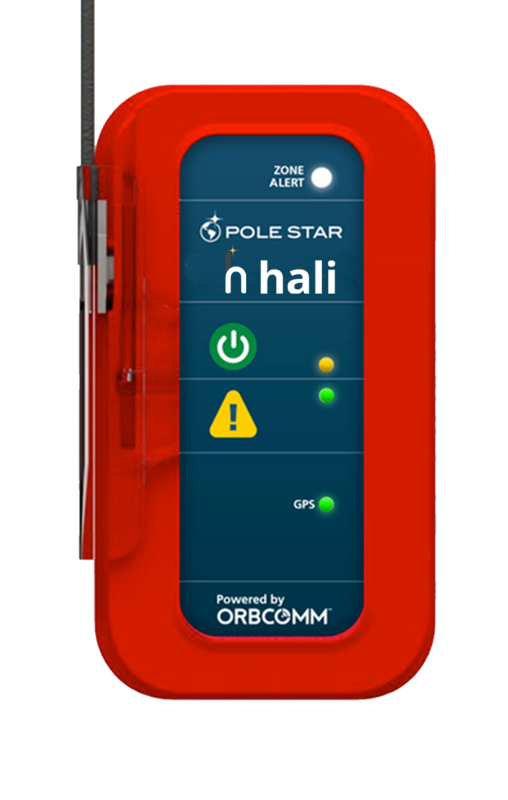 HALI is made by Weatherdock, in collaboration with ORBCOMM and POLESTAR. Long term AIS experience meets huge satellite know-how. The result is an over-the-edge tri-mode tracking device which will be distributed by POLESTAR and their sales channels all over the world. HALI enables authorities such as Coast Guard, to improve Search-and-Rescue-Missions, enhance maritime domain awareness and increase surveillance of marine protected areas. The included SOS functionality sends out a distress message instantly to be received at SAR facilities.